China continues to be both a vast business opportunity and an ethical flashpoint for the technology industry. The announcement came after over 1,000 employees signed a letter demanding transparency on the moral and ethical problems of launching a censored version of Google’s search engine in the country. 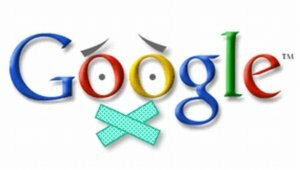 News broke about Google’s apparent plans to do so on 1 August, when internal documents were sent to The Intercept by a whistleblower, revealing that the company has been developing a censored version of its search engine, codenamed Dragonfly, for over a year. The employees’ protest letter, obtained by The New York Times this week, said that the project and Google’s apparent willingness to comply with state censorship raised “urgent moral and ethical issues”. The protest follows a similar move earlier this year when Google employees demanded that the company pull out of the Pentagon’s Project Maven programme, which uses AI to analyse drone footage. Many believed the defence contract would have the effect of weaponising the technology by using it to identify ‘objects of interest’ (strike targets). As a result of that rebellion – and external criticisms of the deal – Google announced that it would exit the defence contract next year, when it comes up for renewal. Google subsequently published a detailed statement of its ethical development strategy for AI, in what was effectively a restatement of its founding ‘don’t be evil’ credentials. But does that ethical strategy apply elsewhere? We may soon have the answer to that question. Google now finds itself challenged by another chorus of disapproval, this time in its core business: search. As a result, it may now face the difficult choice of forever ceding market dominance to companies such as Baidu – its Chinese equivalent, which has over three quarters of the local market – or ignoring its own staff and forging ahead with censored technology. Co-founder Sergey Brin, who was key to Google’s decision to pull the search engine out of China in 2010 in protest at state censorship, reportedly sounded optimistic at the meeting, though progress is “slow-going and complicated”, he said. The world’s playpen – or cage? From 2020 onwards, China will effectively become the world’s biggest AI and connected technology proving ground – bigger even than Facebook – as it introduces a compulsory social ratings and citizen monitoring programme across every aspect of people’s lives. The scheme has the stated intention of fostering good behaviour among citizens and punishing bad – including by removing the right to travel or purchase certain goods for repeat offenders against state policy. As a result, Western companies find themselves on the horns of a dilemma: pull out of China in protest at a draconian social engineering and surveillance policy, or partner with the world’s second largest economy and effectively support the scheme. In related news: When is an opt-out not an opt-out? When it’s a Google opt-out. Google has been fighting another public relations fire this week, as news broke that it keeps tracking and saving users’ locations in applications such as Maps and Search, even when they switch off Location History. Location information is invaluable to Google’s paymasters: advertisers. Google could face huge fines under GDPR and investigation by the FTC in what appears to be a clear breach of trust between it and its users over data privacy and customisable settings. • Alongside another advertising-based business, Facebook, Google has opposed California’s new GDPR-style data privacy rules, which come into force in 2020 and could become a de facto US standard. As the trade war rages between China and the US, drawing in trading and political allies of both countries, doing business with China now comes freighted with political intrigue. But that hasn’t deterred some companies. In July, Siemens AG signed a memorandum of understanding with Alibaba Cloud to develop an Industrial Internet of Things platform in China – a move described by the partners as a “landmark deal for bringing Industry 4.0 solutions to China as the world’s powerhouse of manufacturing”. In August, Infineon inked a similar deal with Alibaba for the IoT. Earlier this month, China rolled out a set of national standards for testing smart autonomous vehicles on public roads, in an effort to speed up development and encourage innovation. China is already the world’s largest car market and is determined to become an automotive superpower in driverless vehicles – alongside AI and robotics, in which it is investing billions of dollars. Baidu’s self-driving programme, Apollo, has attracted several international partners, including American giant Ford, and Daimler AG, parent company of Mercedes. Ford’s own 2018 Trends Report found that 83 percent of Chinese people are hopeful about the future of autonomous vehicles. By contrast, support for driverless technology is falling dramatically in the West, according to this recent survey, and this earlier one from the American Automobile Association. In percentage terms, roughly the same proportion of people support driverless technology in China as don’t support it in the US. So China holds out enormous promise for American companies – even those in its cultural heartlands, where firms face a much bigger battle for technology acceptance than they do in China. Meanwhile, access to China’s market of 1.4 billion consumers presents, as we said above, the world’s biggest proving ground for AI and other technologies – especially when citizens’ every action and word will soon be closely monitored by the government. How’s that for an ethical dilemma? Your move, Google. The post China: Google backtracks on censored search as employees rebel appeared first on Internet of Business.